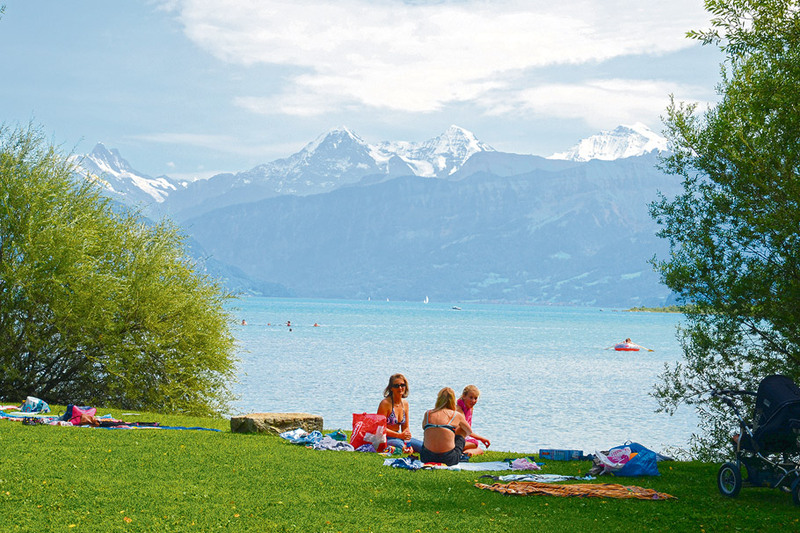 SwissTubes and the attached campsite are located in the shores of Lake Thun surrounded by snow-capped mountains. A nearby nature reserve will convince you that all those writers and philosophers who came to this location over the centuries were right – it really is a place of inspiration. The tubes are modern concrete structures and each one is a functional living space. 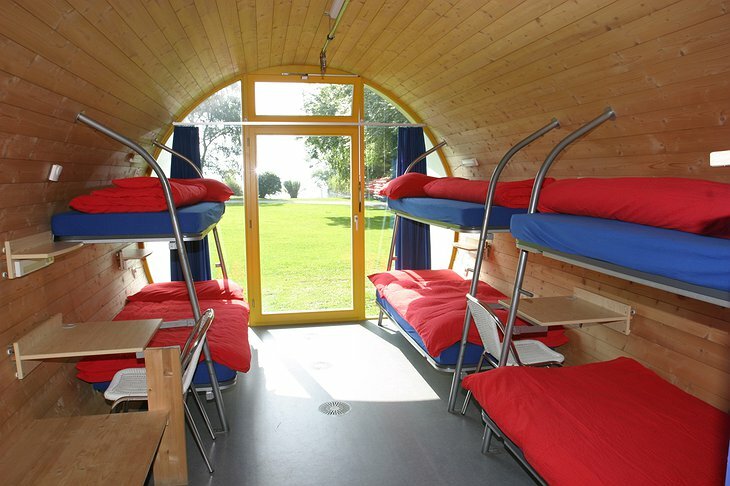 The panoramic windows let in lots of natural night and you sleep in bunks or twin beds. 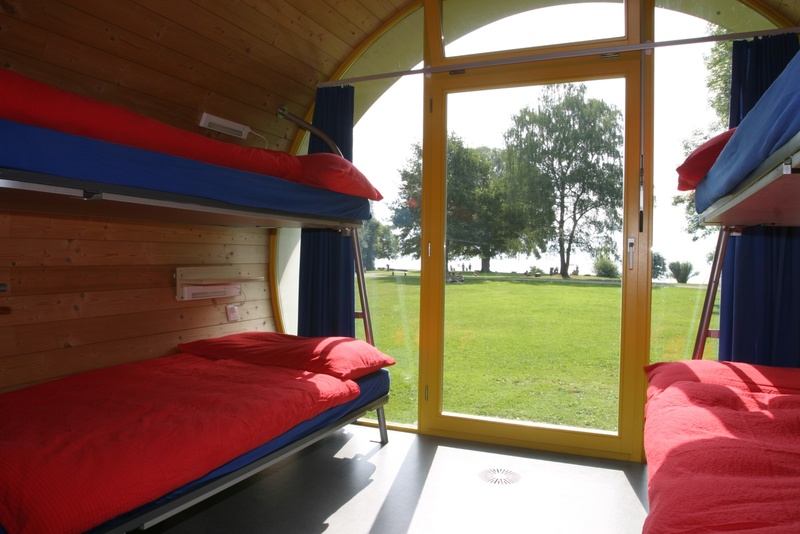 Breakfast is available at the campsite and consists of fresh baked bread and cheese in the traditional Swiss style. 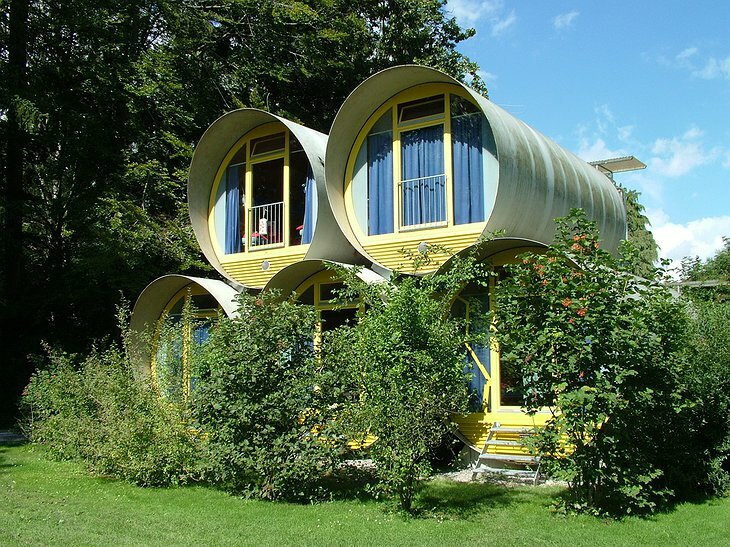 The tubes are located in the shore of the lake with a lush green sunbathing area on your doorstep. 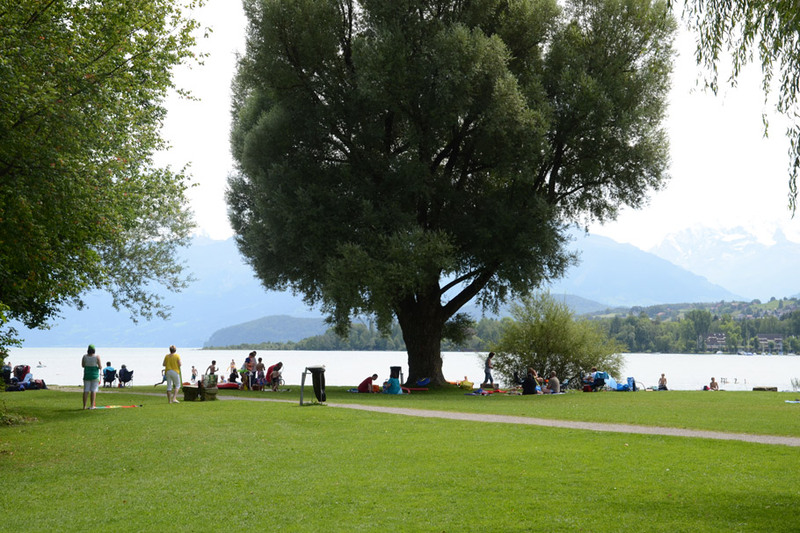 The nearby Bonstetten Park is made for walking, cycling and relaxation. Your evening meal can be taken on-site, at Restaurant Thunersee, or you can take a short trip into the local town, Thun, and check out the fine eateries and bars it has to offer. 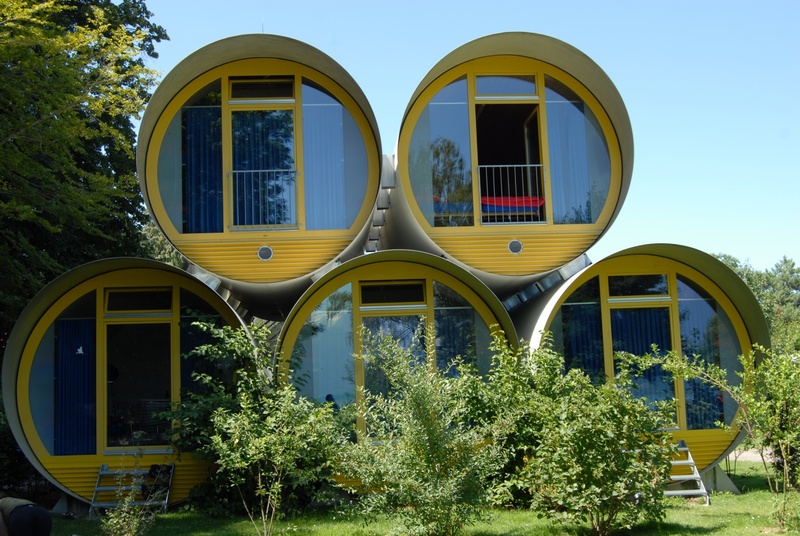 Your Swiss vacation will be unique and comfortable at SwissTubes.